Vernon Enage Reyes is a Filipino educator, servant leader and advocate of quality education. Her research interests include positive psychology, social development and LGBT issues. Reyes spent majority of the academic life in the Ateneo De Manila University. Ver has a Ph.D in Social Development under the Philippines School of Social Work of the Philippine Women's University, Manila and obtained Master in Psychology and A.B. degrees from the Loyola Schools of the Ateneo. The Ateneo de Manila University consistently ranked among the top three universities in the Philippines and top 500 universities in the world according to Quacquarelli Symonds, publishers of the QS World University Rankings. Ver started working on June of 2005 in the Business Process Outsourcing (BPO) particularly at iTouchPoint LTD located at Eastwood City, Libis, Quezon City. After 7 months in the call center industry, Reyes entered public service by entering the city-government funded university, Pamantasan ng Lungsod ng Marikina (University of the City of Marikina) in 2006. In 2007, Reyes was appointed as Coordinator for Student Affairs in charge of all student organizations in the university. At the same time, she held the position as Officer-in-charge as Dean for Student Affairs. Vernon was a faculty member of the Social Science Department of the Pamantasan ng Lungsod ng Marikina (PLMar) as Instructor 3 until 2012. She has also been a civil service exam reviewer employed by the city government of Marikina. Reyes also joined the Ateneo de Manila University in 2008 as project administrative research assistant under the office of the Vice-president for the Loyola Schools, headed by Dr. Ma. Assunta Cuyegkeng. In 2009, Reyes also briefly joined Our Lady of Fatima University (OLFU-Antipolo) as faculty member and candidate for the chairmanship of its Psychology Program. Reyes, V. (2013). Social Representations of Discipline: Exploring its value-formation towards a model of discipline. Dissertation. Philippine Women's University. Reyes, V. (2009). Yaya! Laro Tayo: Mga Piling Larong Pambata. Culminating Project. Ateneo de Manila Univeristy. Pinoy True Stories : Hiwaga. Basic Statistics for Research Writing. Informatics International College. 11.2.2010. The Brickroad, Sta. Lucia East Grand Mall, Felix Ave., Cainta Rizal. 1stLeadership and Organizational Seminar. Youth for MarCY: Youth for Marikina City. Seminar-Workshop on Using SPSS for Statistical Analysis. Psychological Association of the Philippines. November 24, 2012. Ateneo de Manila University, Quezon City. 1st NCR Student Leaders Congress “Youth Leadership Towards Unity and Service”. May 8, 2008. Career Dev’t Association of the Philippines (CDAP), Far Eastern University, Mla. August 29, 2007. ILAW Center & Natasha Goulbourn Foundation, Miriam College, Q.C. Facilitator. National Service Training Program. (2008). 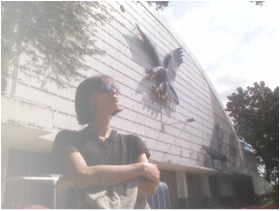 Ateneo de Manila University, Quezon City. - 1 Medical Health Care Associate & 2 BS Education Student beneficiaries from Pamantasan ng Lungsod ng Marikina, Marikina City. Volunteer. Quick Count 2004. Voting Center Manager. (May 2004). National Movement for Free Election (NAMFREL) and Commission on Election (COMELEC). District 3, Quezon City.